Testimonials - PIANO LESSONS AGES 2.5 - ADULTS! ﻿﻿﻿Sign up for a FREE trial lesson today! ﻿﻿﻿"He learns many things through playing games etc… Hiro and I are so fortunate to find Donna as Hiro’s piano teacher." ﻿﻿﻿﻿﻿﻿﻿"They both love Donna’s enthusiasm and her love for music definitely rubbed off on both of them.﻿﻿﻿﻿ ﻿﻿﻿I see a future in piano for both of them." ﻿﻿"Donna's teaching method is fun! She makes learning interesting and it keeps my son wanting to learn more." ﻿"DONNA IS A VERY PATIENT, KIND, AND KNOWLEDGEABLE INSTRUCTOR, WHO ALWAYS HAVE A WAY TO MAKE CHILDREN LOVE TO LEARN PIANO.﻿ She teaches at their own level and turns learning piano fun & enjoyable. We highly recommend children to have piano lessons with Donna. Donna is a pianist and truly an elementary teacher. We are lucky to have our two kids learn with her. Thank you Donna!" ﻿﻿﻿﻿"She is doing patterns, playing jingle bells (duet with donna), learning about addition and rhythm -- and Isla is only 3 years old.﻿﻿﻿ ﻿Donna makes it fun for her and Isla loves Donna which makes all the difference. And most importantly, Donna believes in Isla's ability and that boosts Isla's confidence and ability to learn. I would recommend Donna." ﻿﻿"He continues to be enthusiastic about going to his weekly lessons and practicing!﻿﻿ We plan to continue taking lessons with Donna and hope to enroll our younger son in her classes when he is a little older." ﻿﻿﻿﻿﻿﻿"Donna’s style of teaching piano is gentle.﻿﻿﻿﻿ ﻿﻿Before I came to Donna I was having trouble gasping the piano language, however Donna has made it way more fun and easier." ﻿﻿﻿﻿"Donna is a brilliant piano teacher, she makes learning the piano fun and interesting for children.﻿ ﻿﻿My 7 year old twins have learned the love for music." 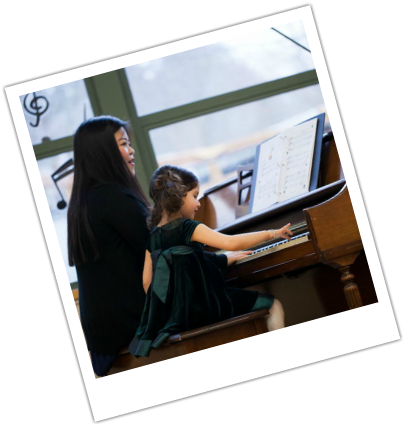 ﻿﻿﻿﻿﻿﻿﻿"I could not be happier with the piano lessons that Donna﻿﻿﻿﻿﻿ ﻿﻿...(She's) always enthusiastic and cheerful, and provides a comfortable and warm environment for learning... has a great playful and creative approach to teaching, especially theory, which has helped our daughter with her piano, violin and dance." ﻿﻿﻿﻿"After the first lesson itself my daughter was in love with the piano lessons and never ﻿﻿﻿wanted to give up. I have to thank Dona for all the patience and her unique technique of teaching young kids." ﻿"I really enjoy my piano lessons and Donna is an awesome teacher.﻿ She makes learning music fun and interesting. Donna has a lot of patience, knowledge and she keeps me focused and motivated." ﻿﻿"She is an amazing teacher, very respectful to the children, she listens to them, doesn’t undermine them.﻿﻿ She is also very receptive to parent’s concerns or suggestions. A great teacher!" ﻿﻿﻿"She helps me learn 100x better with her techniques & skills.﻿﻿﻿ I would recommend her 100%."